Can we reduce the volume of off topic questions? Over the past couple of months, I've seen questions asked here about Linux Mint, Arch Linux, CentOS, Windows 10, OS X, Android, iOS and something one person uses called "Lumia". The overlay text always displays on the Ask Page. It takes 4 clicks to remove it (by default). Every 100 questions in the Close/Off Topic queue increase the click count by 1. If the Close/Off Topic queue gets to be more than 350 in length, it starts to flash. If it reaches over 500, it whizzes around the page randomly. The AKA section should help people realise specifically what they can ask here. And, COMING SOON: logos for Cent OS, OS X, Linux Mint and Windows with big No Entry signs over them. I think running an automated script over each new question to look out for keywords like windows, mint, kali, etc. is a bad idea and would result in far too many false positives. Reviewing all of them would mean more work than just letting them appear on the main site until somebody comes by and flags it or votes to close. On the other side, we have one great thing beside title and question body: tags! What should be possible to implement and set up is to block specific off-topic tags if they are not combined with others that make them on-topic again. For example we can block tags mentioning off-topic OSes like windows, mint, kali unless they are combined with a tag telling us in what way those systems are related to Ubuntu here, e.g. dual-boot, networking, virtualization, etc. Of course this means somebody has to create and maintain a list of potentially off-topic tags and their on-topic-making partner tags. Therefore this suggestion will probably not work either. Please remember that this site is about Ubuntu and its official flavours only. If your problem is mainly about Windows, ask it on Super User instead, if it's about any other Linux distribution, you're welcome on Unix & Linux. If you're unsure whether your system is on-topic here, check whether it's on the list of official Ubuntu flavours. This definitely gains the user's attention and also redirects them to the proper place to ask if they recognize their mistake themselves. It would be a great advantage if clicking a link in this bubble directly takes the user to the other site's "Ask Question" page and copies their already entered content over as well. With this approach, you have no additional reviews and users could still post their question anyway if they think it should be on-topic here, but we can probably catch a big percentage right before they reach the main site. We also provide clear and understandable, user-friendly guidance instead of simply closing their question as off-topic later. 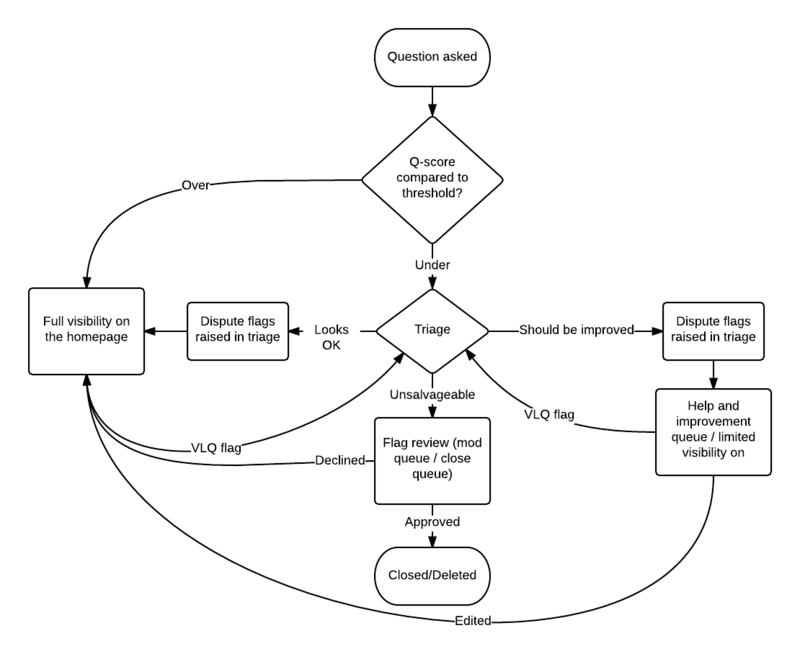 Triage is a question review queue intended to split questions into three categories: "Looks OK", "Requires Editing", and "Unsalvageable". As can be seen, triage reduces visibility of crap in the front page, which should hopefully discourage these, and prevent people from encouraging them by posting answers. The whole system is built upon the assumption that people moderate content, but in this case they prefer not to (and is worse as they are encouraged to not). That's the main problem here. People forgets that to have a sustainable site, you need to establish standards and minimum quality barriers. So, the best way to reduce the volume of crap is to treat it like the crap it is. Whilst blocking keywords such as Windows does stop the issue, it would also create far more. For example if someone asked a question such as How to dual boot Windows and Ubuntu? or they mention that a particular problem doesn't exist on Windows. A notice on the page may help, but somehow I doubt it. 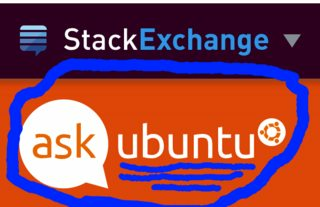 If the clue Ask Ubuntu wasn't clear enough I highly doubt a notice will either. Funilly enough though, I saw for the first time in my existence a question about Ubuntu on the Windows Q&A page. I can't remember what it was exactly, I think it was something about apt-get command. Questions about the future is off-topic?